(CBS News) Centrum multivitamins are taken in over 12 million U.S. households to boost health, but in light of a new agreement between a consumer watchdog and the pills' maker, Pfizer, the vitamins may no longer claim to benefit breast and colon health. Amid pressure from the Center for Science in the Public Interest (CSPI), Pfizer Consumer Healthcare agreed to update labels for Centrum Ultra Women's and Centrum Silver Women's multivitamins to remove claims that the products support "breast health." 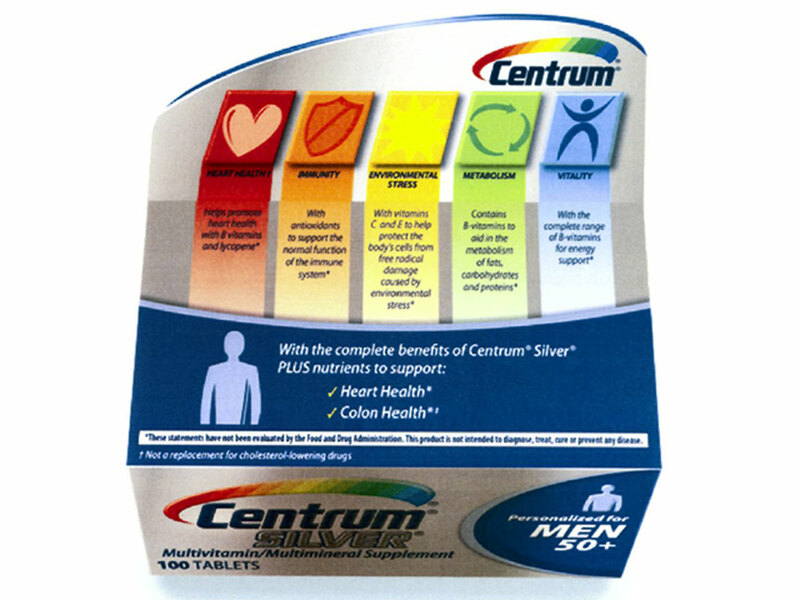 The company will also remove claims of supporting "colon health" from Centrum Ultra Men's and Centrum Silver Ultra Men's multivitamins. The CSPI called for the removal of those claims because in its view, they implied taking vitamins would protect against breast and colon cancer. The watchdog says Pfizer made such claims because the vitamins contain vitamin D, which has been tied to protective benefits against cancer. The CSPI said those claims were based on inconsistent and inconclusive studies. "For many consumers, a daily multivitamin is an inexpensive insurance policy to make sure that one's getting the recommended daily amounts of important vitamins and minerals," CSPI litigation director Steve Gardner, said in a press release. "But supplement manufacturers must not mislead consumers into thinking that these pills will help ward off cancer." Just last month, the U.S. Preventive Services Task Force - medical advisers to government guidelines - issued recommendations that stated there was insufficient evidence that taking vitamin D would reduce a person's risk for developing cancer, or reduce the risk of cancer coming back. Besides removing breast and colon health claims, Pfizer will also update "heart health" labels for Centrum vitamins. The company agreed to add language to the products that will say that the vitamins are "not a replacement for cholesterol-lowering drugs." The company will also update labels that state the vitamins can provide an energy boost, adding clarifying language that the pills don't directly provide such a boost but support metabolic function. The labeling changes will go into effect within 30 days on Pfizer websites and advertisements, and will go into effect over the next six months as current vitamin supplies are sold. Reuters reports that the CSPI first sent a letter to Pfizer last April that called into question health claims on the vitamins, while threatening a lawsuit. An agreement letter between Pfizer and CSPI published on the CSPI website acknowledges that Pfizer denies the watchdog's allegations and that the changes the company has agreed to make "do not constitute an admission." As part of the negotiated agreement, Pfizer will be allowed to keep labels on various Centrum products that say the vitamins boost "bone health" and "eye health," according to Reuters, despite the CSPI's objections. The letter also states the CSPI will not sue Pfizer over Centrum dietary supplements provided the other changes are implemented. "Pfizer Consumer Healthcare has agreed to make certain changes to the labeling and advertising of some Centrum dietary supplements under a resolution reached with the Center for Science in the Public Interest (CSPI)," the company said in an emailed statement. "The Company disagrees with CSPI's concerns but has agreed to make these changes in order to fully resolve the issues raised by the organization."